When we travel to exotic countries, especially developing nations, we often find the locals to be kind of weird. But let’s be honest, we are the weird ones, because we are the minority. I was very glad to find that some scholars had the same thought, and just published their research on the dangers of relying on Western samples for generalizing to the human population. As I previously posted, there is evidence of differences in visual perceptions and decision making across cultures (see Nisbett, The Geography of Thought), but few scientist have been investigating the topic. Luckily a new era seems about to start. societies. They show how the result of experiments conducted in the United States and other industrialized societies are not representative of the human population as a whole. 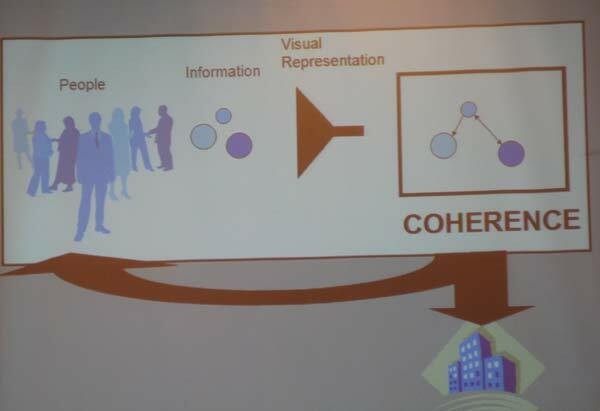 Of particular interest for Knowledge Visualization is the difference in visual perception and spatial cognition. For example the Muller-Lyer illusion (in the picture below) seems to be stronger for westerners than for small-scale traditional societies. Similarly, in most of comparative studies Westerners, and particularly Americans, “occupy the extreme end of the human distribution” (pg.5).